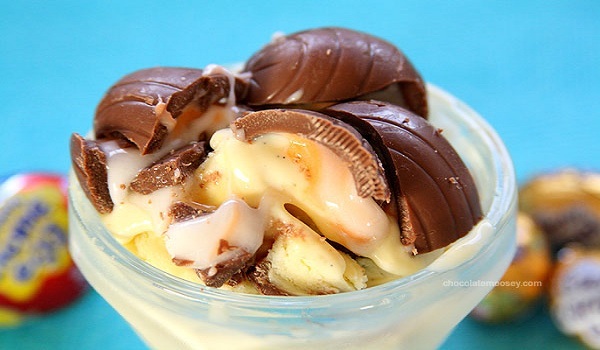 Egg Ice Cream is a very popular recipe. Learn how to make/prepare Egg Ice Cream by following this easy recipe. Combine egg yolks with sugar, salt, brandy, rum, and sherry in a pan over medium flame. Cook until the mixture thickens. Remove from heat. Add milk and heavy cream. Mix and keep aside to cool. Whisk egg whites until firm and stiff. Add to the cream mixture and blend well. Transfer the mixture into an ice cream machine and process accordingly. Follow the instructions for preparing ice cream with an ice cream maker.